Good news for Mac users: Apple has just released macOS High Sierra Beta 2. Here’s how you can update your Mac right away. macOS High Sierra takes Sierra from last year even further by introducing a boatload of new technologies under the hood. There’s a brand new filesystem which made its debut on the iPhone and iPad with iOS 10.3. Apart from that, Apple has thrown in some aesthetic polish as well. All in all, it’s a great little release which users should anticipate at the end of the year. 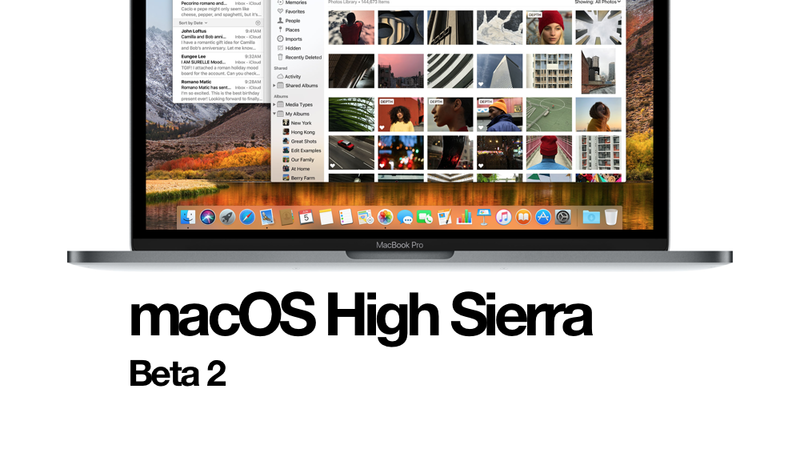 Currently though, it’s available as a beta for registered developers, and macOS High Sierra Beta 2 was released a few minutes back for devs around the globe. We’ll show you how you can update if you have macOS High Sierra Beta 1 already installed. Like any other macOS update, this one’s available over the air as well. Follow the steps below on how to install the latest release from today. Save all your work and make sure you are connected to a WiFi network. Launch the Mac App Store and then click on the Updates tab at the top. Wait for the Mac App Store to refresh properly. The update will show up in a few seconds. Click on the Update button and you are good to go. If, for some reason, you feel that you should receiving macOS High Sierra Beta updates, then head over to this link. Currently, macOS High Sierra is available for registered developers only. If you are one, then follow the guides below on how to install macOS High Sierra Beta on your Mac right away. The great thing about macOS High Sierra is that it supports every Mac that can run macOS Sierra. So yes, you’re well covered if you have macOS Sierra running already. We will update our readers regarding new features which Apple might have slipped under the hood with this release, so stay tuned.